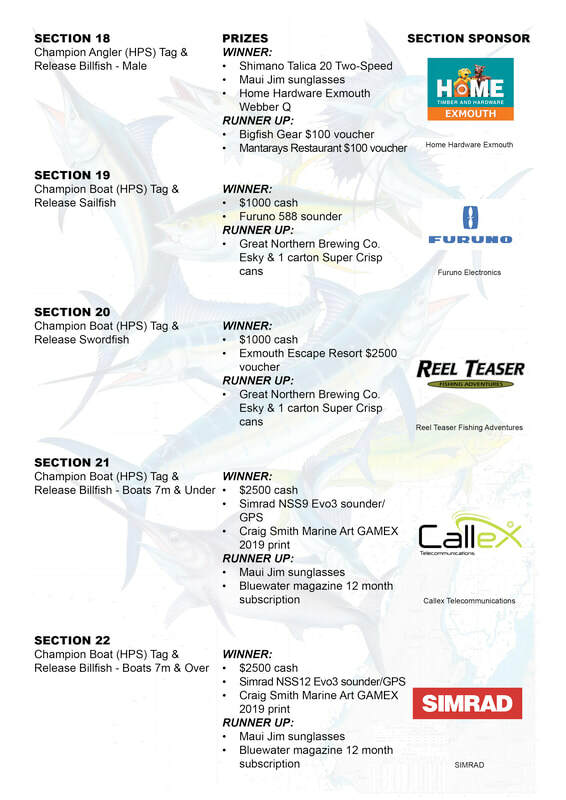 Winner and runner up prizes (where applicable) for all 27 GAMEX tournament sections are listed below. Prizes will be awarded for the winner and runner up in each section on the GWN7 Presentation Night. 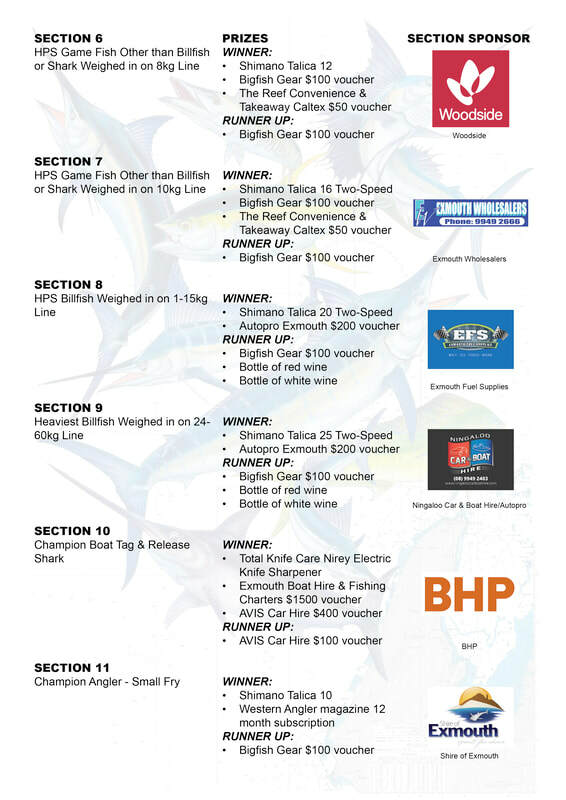 Lucky boat draw hourly prizes consisting of $50 or $100 vouchers from GAMEX partners will be drawn each day of fishing (Sunday March 24 - Friday March 29) and announced over the radio. These are to be collected each night from the EGFC Clubhouse merchandise desk. 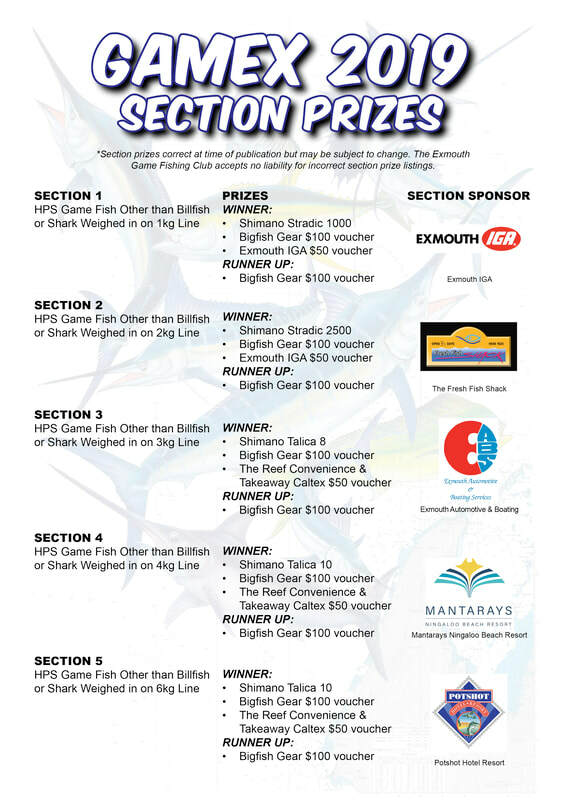 Nightly raffles will be held at the EGFC clubhouse. 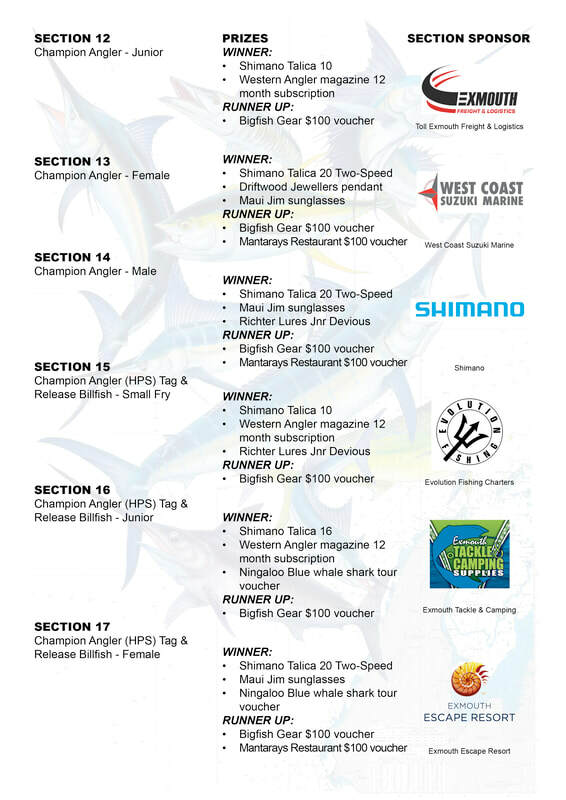 ​A prize for the best dressed team at the Exmouth Escape Resort Social Night (Tuesday March 26) will be awarded on the night. 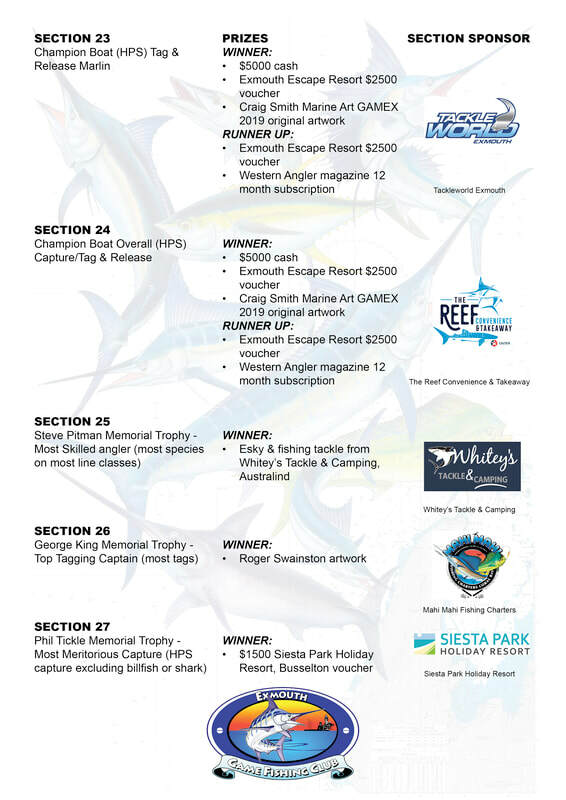 Cash prizes for the GAMEX Boat Auction winners and runners up will be awarded during the GWN7 Presentation Night.